Both County Line Veterinary Hospital and Heritage Veterinary Hospital are full-service animal hospitals and wellness centers. We provide in-house surgeries, a full range of diagnostic laboratory services, and a complete pet pharmacy. County Line Veterinary Hospital and Heritage Veterinary Hospital are comprised of a modern hospital, surgical unit, radiology department and on-site laboratory. 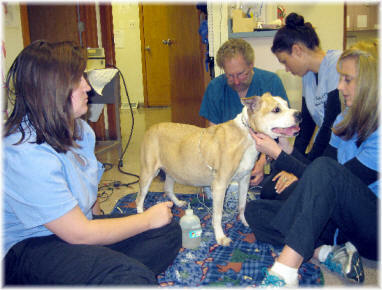 We emphasize preventive care whenever possible to ensure a happy, healthy and long life for your pet.